The big apple requires no introduction - the financial, social, food, fashion, entertainment and culture capital of the world - this city is a must for anyone traveling anywhere near it. A weekend is just about enough time to tick off the famous sights but if you're looking for a longer holiday, there's never a shortage of things to do in the city that never sleeps. For first-timers there really is nowhere better than midtown - basically anywhere south of Times Square down to around 14th street will put you in the thick of things. The Eventi (a Kimpton hotel) comes highly recommended although prices might put it outside many travelers' budgets but there are plenty of good options in the area. Wherever you chose, book on a room only basis. New York's food offerings are too good to miss if you have breakfast paid for at your hotel. Top of the everyones list is the Empire State Building. Top tip - go to the top of the Rockerfella instead. You can buy your ticket in advance to save time queuing and the viewing area at the top is much bigger and more open than the Empire State. You also get a great view of Central Park which you can't see from other buildings. To save a few dollars, buy yourself to Moma and Top of the Rock combined ticket and do them both in the same morning. The Museum of Modern Art is a stunning building in itself and its full of some of the world's most famous paintings including Monet's waterlilies. You probably need 2 hours to do the gallery fair justice. A good option for the afternoon is a stroll along the Highline. Starting on 30th st and taking you all the way down to meatpacking, this elevated walkway is an old converted railway line taking you through the cit, ending just enough time for you to refuel at Chelsea Market. From there you're a cab ride away from the Staten Island ferry - a free way to see the Empire State. Although you don't get off the ferry to get a close up you get pretty spectacular views of the national icon, and did I mention it's free?! 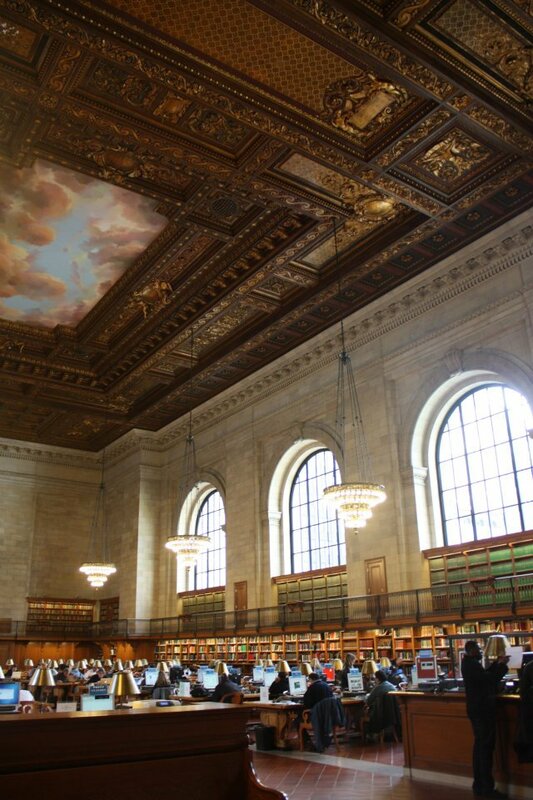 Other places you need to stop at on your whistle stop tour include the Public Library on fifth avenue - including the stunning reading room on the 2nd floor, and Grand Central Station. Don't forget to pass on a secret message along the whispering wall and stop for a while just to take in the hustle and bustle at the capitals busiest hub. It would be ridiculous to make too many concrete recommendations in this section because there are just so many bars and restaurants in New York and I haven't even tried a handful of them. I can tell you that the Red Lion on Bleeker Street is a great pub with awesome live music, and in general the whole area around Bleeker is pretty cool. Check out their music schedule to see what's on and if you get a chance to see Milo Z, take it! They are the best jazz-funk band I've seen live. That's enough tips. New York is an incredible city to explore. Enjoy.